You’ve seen those scenes in the movies where the characters are trying to get into the club, and the menacing looking bouncer is standing behind the velvet rope blocking their way, right? Life is more interesting behind the velvet rope. All the cool people are behind the velvet rope. Everybody wants behind the velvet rope. I remember taking a tour of a historic mansion one time on vacation, and every other doorway had a velvet rope across it with the sign that said “do not enter”. So of course, I wanted to enter. 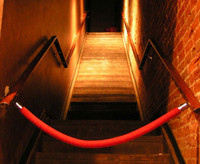 One way to build some ‘buzz’ or interest in your business is to provide people a glimpse ‘behind the velvet rope’. What I mean is that you have to give people content that most people don’t normally see. A couple of years ago I got the chance to take a tour of a food processing plant down the road from me. This is the plant that processes almost all of the McNuggets for McDonalds. So of course, I was curious about just how a McNugget was made. I heard the urban legends and the rumors, and of course most of it was completely untrue. It was fascinating. I got to see the entire process from when the chicken exited the truck to when the McNuggets were packaged on the other end. So give people a look behind your velvet rope. What happens when you close the doors at night? Just exactly how do you make that thing that you make? Maybe you have some characters who work for you and your customers would be shocked to know what those folks do for hobbies. People eat that stuff up, so give them some of that. YouTube is fantastic for this. 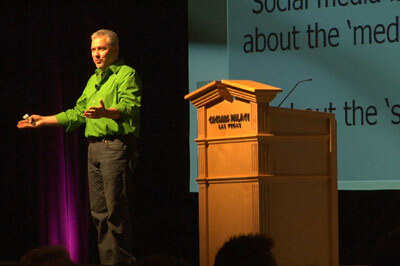 Make some videos and then share them to your website, to Twitter, to Facebook, and any other social networks you are on. If you are Instagram you can even create 15 second videos now, so use it. One of my long time customers is great at this. One year for Halloween they did a video clip of what happens at night in the warehouse when the lights are turned out. Of course… it’s haunted! So be creative. Have fun. And give people a look behind your velvet rope. You never know. You might have to hire a bouncer.